Commercial Building in High Traffic Area! 4600 SqFt Class B Building, currently Health Care Partners Clinic. Current design perfect for medical office/practice/clinic. Base rent at $1 SqFt but open to terms. Property available by end of October. Call for appointment and/or inquiries about Landlord and Tenant improvements. Do not disturb current tenants. 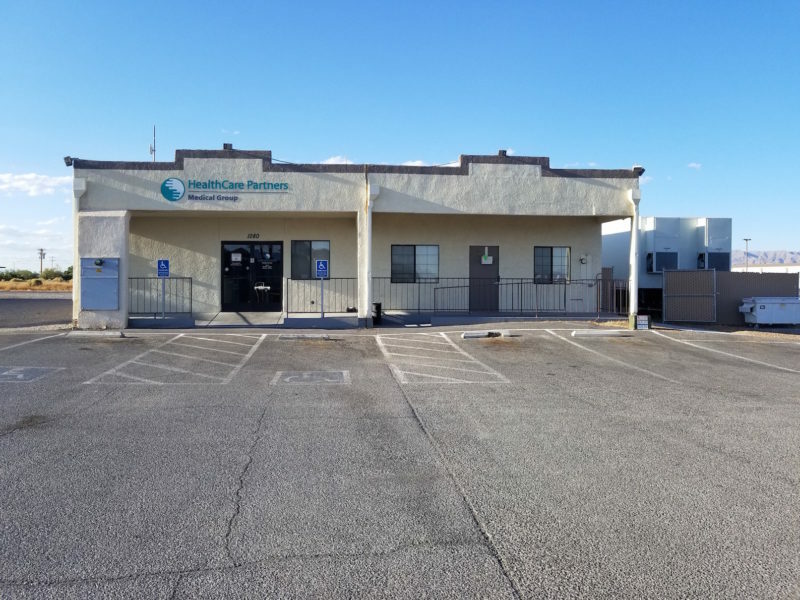 Currently formatted for 12 exam rooms, 4 Offices, Xray room, mammography room, DXA room, CAT scan room, nurses station, receptionist desk, and waiting area. 22 rooms in total. 2500 SqFt vacant lot also available , currently contains MRI trailer. Located in Terrible’s Roadhouse Casino Complex on high volume corner of Pahrump Valley Blvd and Calvada. Kitty-Corner from Health Care Urgent Care Center and Flight for Life Helipad.